3 images. 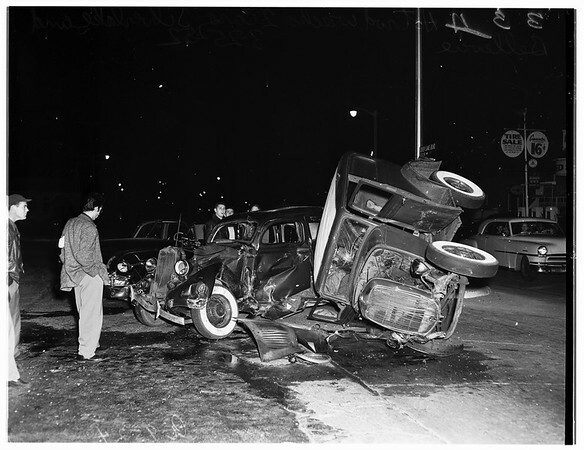 Hot rod accident at Bellevue Avenue and Silverlake Boulevard, one goes into the other, and both hit third one, 25 March 1952. (Sleeve reads: A9524).